Last December had an historic result, with more than 33.000 units sold in Europe, 72% more than the previous all-time high reached in the previous month, with total YTD sales ending at 193.000 units, almost doubling the 100k registered in 2014 and the EV Share finally surpassing the 1% barrier, with 1.25% Share. - Even the veteran Renault Kangoo ZE has beaten its sales record, registering 742 units and thus beating a three year old record (626 units in November 2012), pushing the LCV monthly record further higher. Looking at the YTD ranking, the Top Two stayed the same, with the Outlander PHEV renewing its 2014 Best Seller title, while the Renault Zoe won its first Best Selling BEV title, recovering the Second Place won in 2013. The Third position had a new owner in the last month of the year, with the Nissan Leaf tumbling two positions to #5, with the Bronze medal going to the VW Golf GTE and the #4 once again going to the Tesla Model S.
Another model dropping in the ranking was the VW e-Golf, down two positions to #8, to the benefit of the BMW i3, ending the year in #6, up two positions regarding November. Below the Top 10 there is also plenty of action: The Mercedes C350e climbs one position to end 2015 in #11, the rising star Volkswagen Passat GTE jumped five more positions, ending in #12, will this be the 2016 D-Segment/midsize class Best Seller? The Volvo XC90 T8 Plug-In also jumped five positions in the ranking, to #18, while the BMW X5 40e Plug-In also climbed three positions to #22. With these two models selling in such large quantities, it will be hard fot the Porsche Cayenne Plug-In to keep the Best Selling Luxury SUV title this year. In the brands ranking, Volkswagen (18% share, down 1%) won its first european EV Manufacturers Title, followed by Mitsubishi (16%) in Second and Renault in Third, with 13%, while last year medalist Nissan ended in #4, with 10%, down 1% share regarding last November and down 8% YoY. 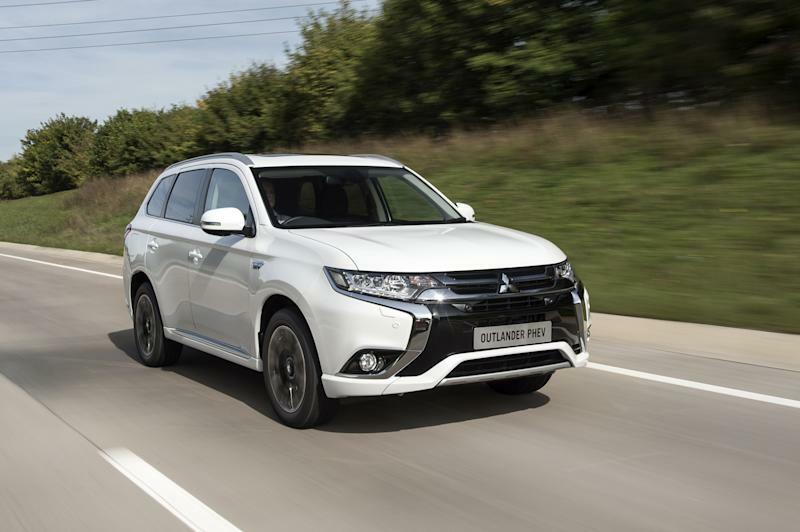 Best Selling PHEV & SUV: Mitsubishi Outlander PHEV, 31.340 units. The japanese model won for the third consecutive year these two titles, with its sales up 63% YoY and no direct competition, how high will Mitsu's SUV reach in 2016? Best Selling LCV: Renault Kangoo ZE, 4.328 units. Europe's favorite electric LCV since it appeared in 2011, the french van had a much needed sales push in the second half of the year to win a comfortable lead over the increasingly menacing Nissan e-NV200 / Evalia twins (3.049 units), to have an idea on how close they were, in August the two vans were separated by just 100 units. In all other manufacturers, EV's represent less than 3% of their sales mix. 270 units were sold in 2015, with sales up 85% regarding the previous year, with the EV Share growing to 0.08%, a small but significant increase over the 0.04% share of 2014. 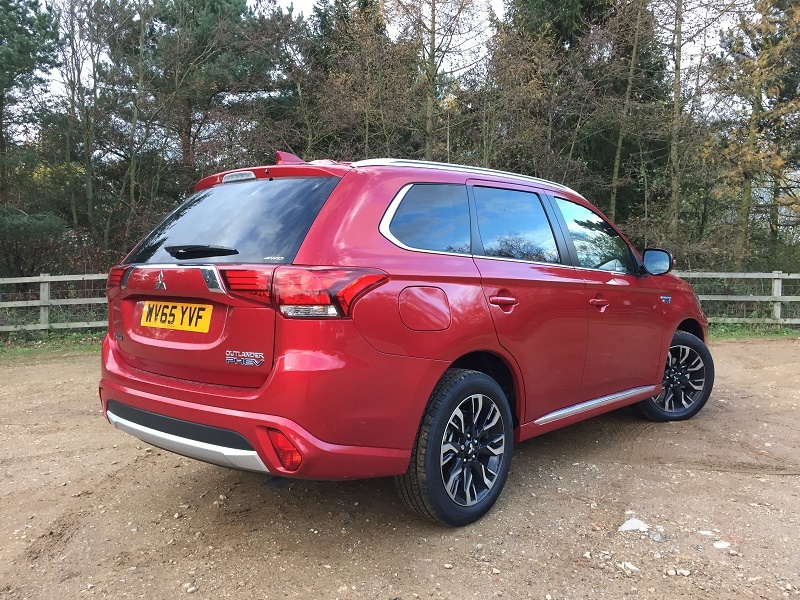 Looking at the models ranking, the Mitsu Outlander PHEV (Most likely) dethroned the now second placed BMW i3 from the Best Seller Status, being the second model from the japanese brand to win the award, after the I-Miev had won it in 2011, with 22 units. The Nissan Leaf secured the last seat on the podium, with 24 units, repeating the 2014 position, while the Tesla Model S ended the year at #4, with a record 21 units. Looking at the Manufacturers ranking, Mitsubishi won its second trophy (First was in 2011), with 48% of the market, BMW ended in #2, with 31% share, while in Third we have Nissan, with 12%. The Icelandic EV market ended the year with over 400 new EV's on the road, twice as much as it did in 2014, with the EV Share (2,93%) at record levels, the fourth highest in the world. Looking at the models ranking, there aren't yet definitive numbers from the e-Golf, but it looks that the German EV has surpassed the previous leader Nissan Leaf by...One unit. Looking at the remaining models, in Third we have the Mitsubishi Outlander PHEV, with the Kia Soul EV ending in a brilliant #4. In the manufacturers ranking, it seems Volkswagen (32%) inherited Nissan's (25%) throne, with the Third Place remaining in the good hands of Mitsubishi (11%). The BEV / PHEV breakdown, plug-in hybrids have grown significantly their share to 36%, up from 18% in 2014, beating the 2013 record of 26%. For 2016, the race for Number One will continue between the top two, with the Kia Soul EV possibly getting in the way. As for a forecast for the total sales number, i would go with 600-800 units. The EV Market in Czech Republic has finally awaken, with 419 units sold this year, more than all previous years combined, pulling the EV Share to a respectable 0.18%, making this Year One for plug-ins in this market. Looking at the models ranking, the BMW i3 ended the year in great share, registering 15 units, a personal best for the small hot hatch, and revalidating last year Best Seller title. Teslas are a surprise here, reaching the runner-up position, followed by the VW e-Up! and Nissan Leaf. In the brands ranking, BMW (27%) repeated its 2014 title, winning the laurels of believing in this market when everyone had given up up on it (2014). Volkswagen ended in Second, with 22% Share, followed by Nissan, with 16%. Looking into 2016, i think numbers will continue to grow fast, maybe reaching 800 units/year, with the BMW i3 continuing to rule supreme, despite VAG efforts to reach it. Only 55 electric cars were sold in 2015, down from 350 in 2014, placing the EV Share at a disappointing 0.27%. In the midst of this abnormality (Incentives related? ), the Nissan Leaf won for the third consecutive time the Best Seller award, despite selling only 12 units, its worst performance ever. Second was the Tesla Model S, up one position regarding last year, despite delivering only a third of the vehicles (10 now vs 30 in '14). The Volkswagen e-Golf replaced the e-Up! relative in the Podium, ending the year in Third, with only five units. In a shrinking market, one major trend was the rise of plug-in hybrids from insignificance to 25% share, representing almost half of the models available.